The Buffalo News 21st Annual Editorial Cartoon Contest is now in session and open to all students in grades five through 12. The deadline to enter is May 8. For more information about the contest, visit buffalonews.com/editorialcartooncontest. Activities this week at the Central Library, Lafayette Square, include a screening of “The Music Man” from 5 to 7 p.m. Thursday and WNED Day from noon to 3 p.m. Saturday. For more info, call 858-8900 or visit buffalolib.org. S.H.I.N.E. (She Has Inner Excellence), a program for girls in grades four through seven and their moms, will take place from 1 to 3 p.m. Sunday at Sacred Heart Academy, 3860 Main St. Cost is $20. Register at sacredheartacademy.org. Runway, SUNY Buffalo State’s annual fashion extravaganza, will be held at 3 and 8 p.m. Saturday in the Campbell Student Union, 1300 Elmwood Ave. The high school with the highest number of students attending the show will receive a $500 scholarship for one of its students; the scholarship increases to $1,000 if the student chooses to attend Buffalo State. Tickets are $10-$100. For more information, visit runway.buffalostate.edu/. 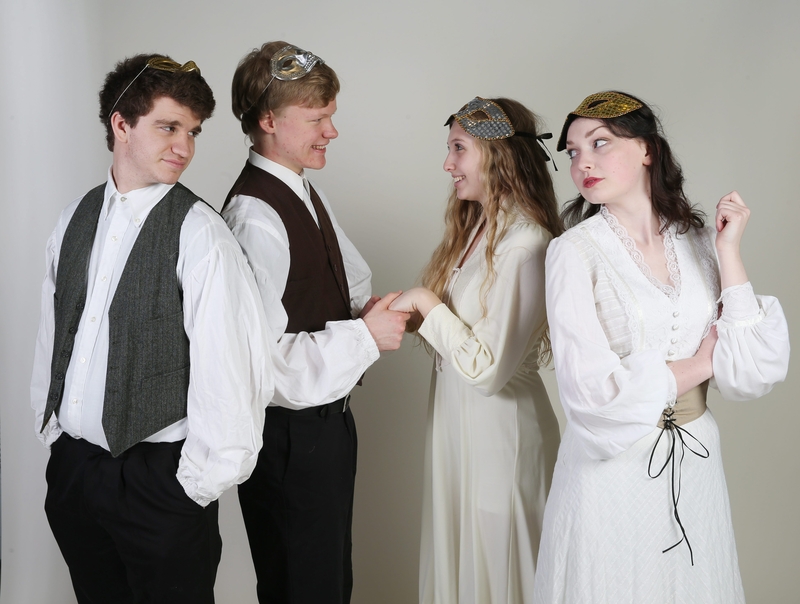 Hamburg High School will present “Much Ado About Nothing” at 7:30 p.m. Friday and Saturday and 2 p.m. Sunday in the school auditorium, 4111 Legion Drive, Hamburg. Tickets are $4-$8. For information, call 646-3300. Pictured, from left, are Brandon Mecklenburg, Christopher Webster, Beverly DiCorso and Corrinne Greene.